Drivers in the market for their next vehicle may find it difficult to narrow down their options with how many choices are available. Our team here at Certified Autoplex understands firsthand just how challenging it can be because the automotive market has a lot to offer. That’s why we’ve been putting together information pages for a variety of makes and models to give drivers more information regarding the vehicles on our lot. Our inventory is made up of mostly pre-owned luxury vehicles, but we still carry a variety of mainstream brands as well. 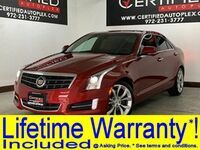 This time around we’re shining a light on the used Cadillac models we have available here at Certified Autoplex. We’re conveniently located just five minutes outside of Dallas in Carrollton, and we promise it will be worth the trip! Let’s explore some of the Cadillac models we have to offer. With an average of 300 vehicles to choose from, Cadillac models make up about ten percent of our inventory. 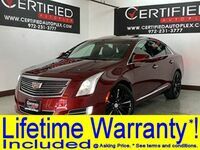 Cadillac offers a wide range of choices from classic sedans and coupes to modern crossovers and SUVs, there’s something for everyone on this lineup. Model years range from 2012 to 2015, but it’s important for us to note that our inventory is constantly changing. Drivers looking for a classic sedan or coupe have quite a few options to choose from. 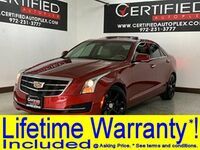 The Cadillac ATS is the smallest, most affordable sedan on the Cadillac lineup with entry level features and an impressive fuel economy. 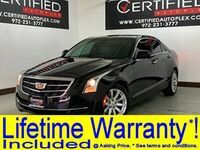 Those looking for something larger may be interested in the Cadillac CTS, which also offers coupe style models as well. For drivers in need of vehicle that can fit more passengers and cargo, there are a couple options to pick from. 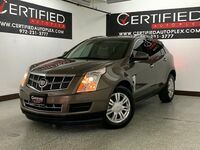 The Cadillac SRX offers seating for five, and the iconic Cadillac Escalade offers seating for up to seven. Available features across the Cadillac lineup include heated seats, sunroofs, rearview cameras, navigation systems and entertainment systems. 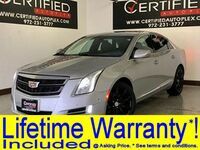 Those interested in learning more about the pre-owned Cadillac inventory available here at Certified Autoplex are encouraged to contact us for more information. Drivers are welcome to schedule a test drive online to get behind the wheel today. 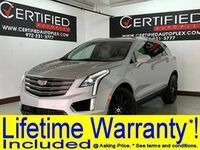 Interested in a Used Cadillac Models?